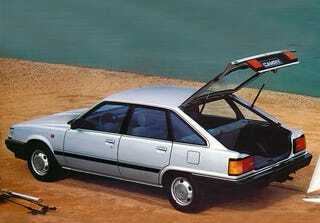 ... for manufacturers to offer liftback versions of well-selling sedans? The Camry, Accord, and Mazda6 could wrangle in a few more folks perhaps with the liftback varaints. The Fusion does it overseas. Mazda did try it for a few years here, so maybe I’m wrong, and maybe the numbers showed it wasn’t worth the investment. But with the 4-series GC, A7, and the upcoming A5 “spertbahk,” obviously there must exist some demand for a 5-door liftback, right?